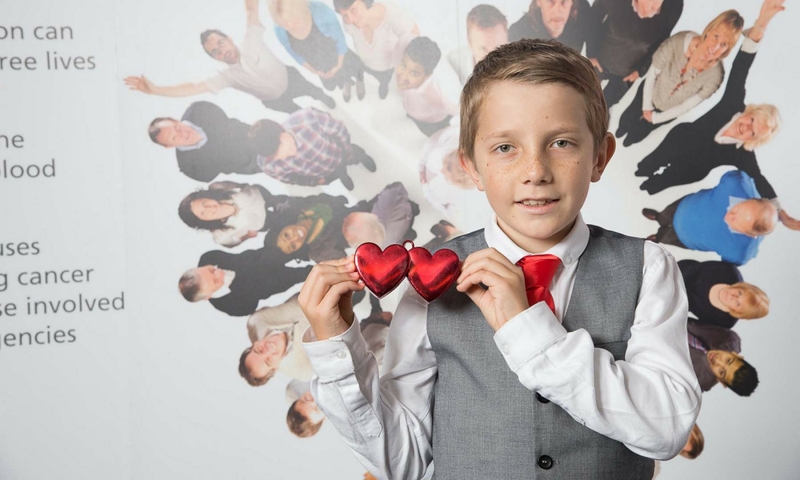 Archie joined 124 blood donors from across Norfolk, Suffolk and Lincolnshire to say a huge thank you for their commitment after donating over 9800 units of blood to save the lives of so many. The Award Ceremony was held at Norwich City Football Club on the 7th November. Blood donor sessions have been held at Carrow Road since September 2010, collecting over 6700 units of blood. The day started with a personal guided tour of the football ground, soaking up the history of the club which formed in 1902. Shortly after the tour Archie had the opportunity to meet up with all of the donors receiving awards during the reception. After lunch, Archie presented each of the donors with a crystal award for their long standing commitment to donating whole blood. Each of the donors received an award for 75 (Emerald) blood donations or 100 (Diamond) blood donations. Overall the day was a great success and emotional to see so many hero’s in one room.